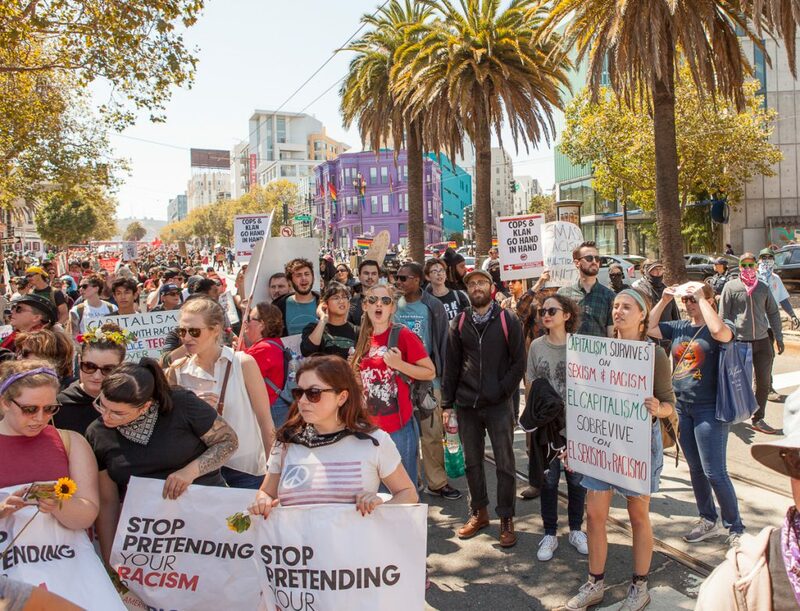 On Saturday I joined thousands of counter-protesters in San Francisco battling back against Patriot Prayer, a group of Donald Trump supporters who planned to hold a “free speech” rally in the city that weekend. The group claims they are not white supremacists and not racist as they have some people of color in their ranks, but as this Medium article explains, they are still oppressors. They wield their idea of free speech as a weapon against marginalized people who are not on an equal playing field, and their outspoken support of Trump validates his racism, sexism, and neo-Nazi apologism. The rally was originally scheduled to be held in Crissy Field, a familiar destination for my longer runs. Once the park service granted a permit (which was highly controversial), police prepared with a long list of restrictions on what could be brought into the park, to the point of banning liquids other than water in factory-sealed bottles. Public transit was also rerouted, and parking restricted. Between the restrictions and denouncements from Mayor Ed Lee and Representative Nancy Pelosi, the group decided the day before the rally to cancel their plans, and announced they’d be holding a press conference (without a permit) in Alamo Square Park instead. 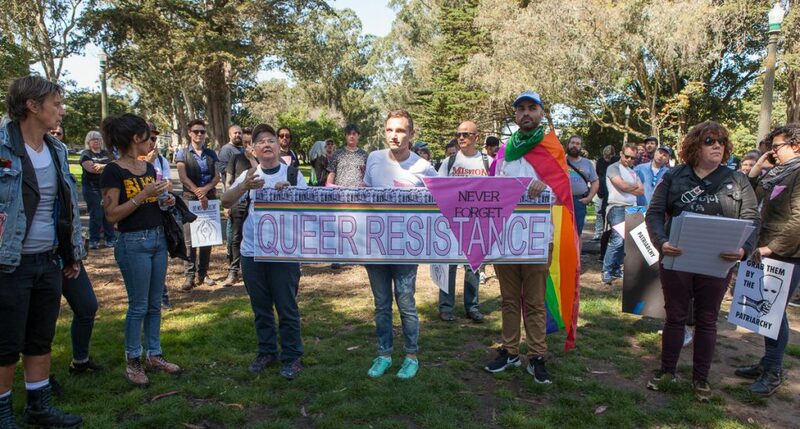 With this new information, I headed to the nearby Panhandle of Golden Gate Park to meet up with a “queer resistance” group and march to the Alamo. 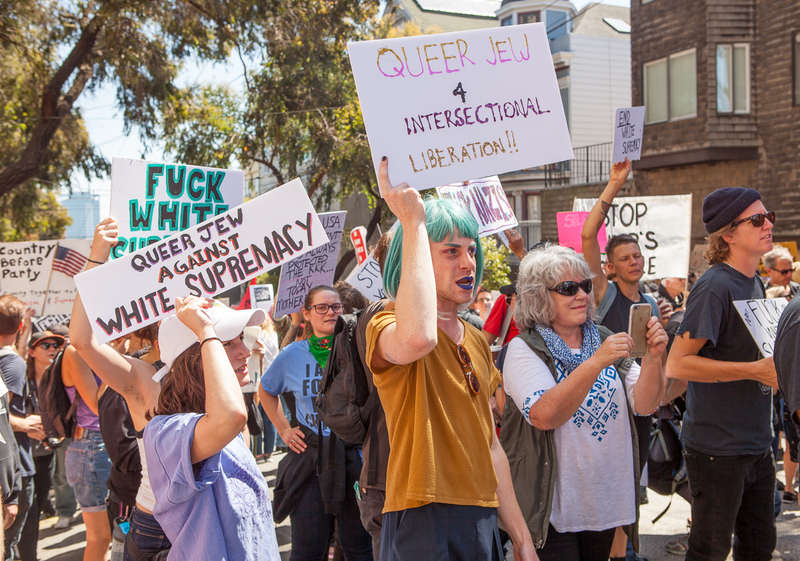 Other demonstrations against Patriot Prayer were being held throughout the city, including a music and dance party at City Hall and a rally and march in the Castro. When I had mentioned to a (gay male) friend a couple of days prior that I was tentatively planning to head to the site of the right-wing rally, he tried to talk me out of it, for safety reasons. I countered that I had attended over a dozen demonstrations since the election, and wasn’t sure that any of them had made a difference. But after seeing thousands of people shut down a similar “free speech” rally in Boston, I felt that joining those confronting these oppressors was worth the risk. 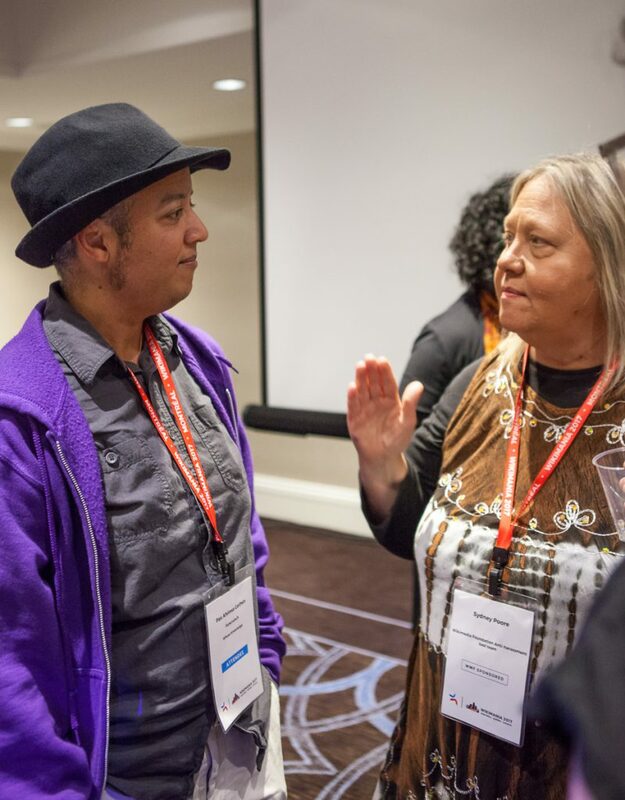 I was also convinced by a fellow trans activist of color, Gwen Park, who urged all those physically and emotionally able to do so to meet in one location rather than spread out throughout the city. Another activist friend, Saryta Rodriguez, was visiting me that week and also wanted to attend, providing additional motivation. Outside the park, the A.N.S.W.E.R. Coalition called for a sit-down in the street, and hosted several speakers. The number of speakers was a bit excessive, and some of us were getting antsy in the mid-day heat. Eventually we resumed marching, ending up in the Mission. I was unhappy with some of the marchers thanking the police who were guarding the park, and more unhappy with other marchers taunting the police who walked alongside us. I preferred to keep my distance from the police officers and try to ignore them as much as possible. Patriot Prayer wound up having their press conference in nearby Pacifica, then returning to the city to meet with individuals at Crissy Field and other locations, under heavy police presence. Reporter Dan Noyes of ABC 7 News was accompanying them and live-tweeting their moves, which I wasn’t thrilled with even though I suppose it was under the guise of objective journalism. In any case, I was already home by the time I learned of the group’s return, and did not venture out again. 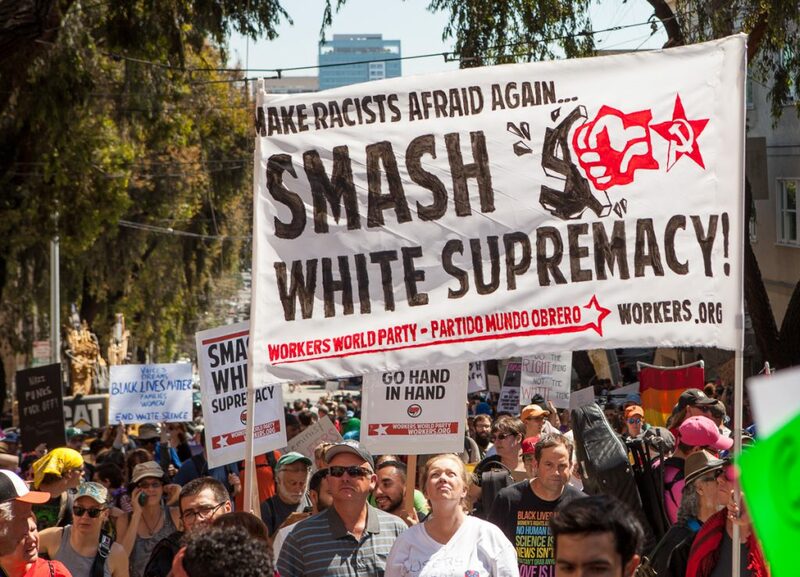 I did not wish to speak with or otherwise confront these people face-to-face myself; I only wanted to join a large, peaceful demonstration against white supremacy, racism, and fascism. Another counter-protest was held in Berkeley the following day, which I did not attend. I was glad that I stayed home when I learned that black bloc counter-protesters chased and pepper-sprayed some Trump supporters there, during an otherwise mostly peaceful demonstration. I realize that some (perhaps many) progressives feel that pacifism is unwarranted or even foolish in the face of oppression, and I am sympathetic to their views. But I am still personally opposed to physical confrontation, with the exception of immediate self-defense. Punching Nazis with words instead of fists might or might not be the most effective tactic in the long run, but I will not engage in violence if I can possibly help it; naming myself Pax Ahimsa was my pledge and constant reminder to be peaceful and avoid causing harm. My photos from the protest are on Flickr. Some are also on Wikimedia Commons (alongside photos from other contributors). Please credit me as Pax Ahimsa Gethen if you use any of my photos, thanks. Sadly, a fair number of people were denied visas by Canada for this event, and this included several Whose Knowledge members. One of them, Azra Causevic, joined the presentation by live video link. 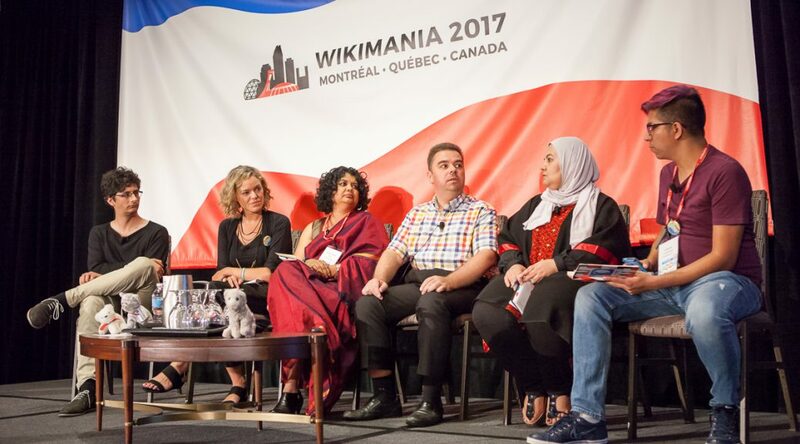 I gave a talk during the WikiConference North America pre-conference to the main Wikimania event. As I blogged about previously, my presentation, Facing Defacement, described my efforts to combat harassment of users on the English Wikipedia. 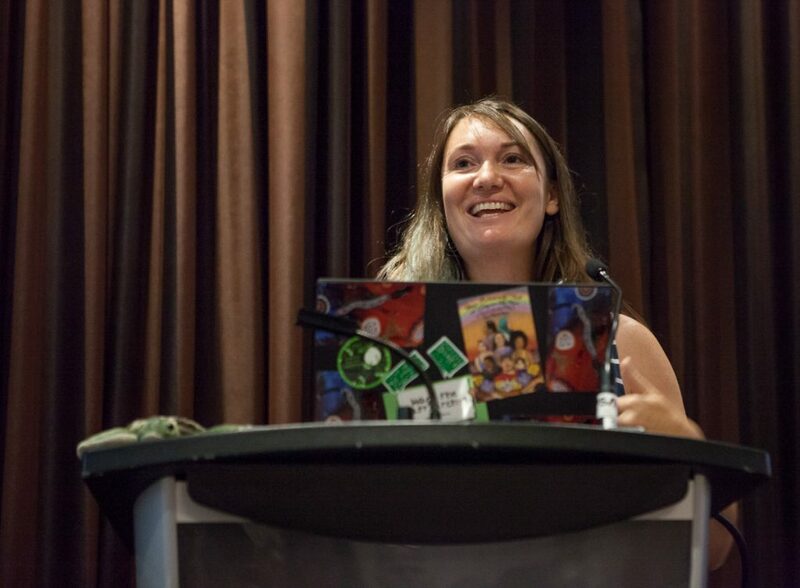 The talk was well-received, and I connected with several members of the Wikimedia Foundation anti-harassment team, who I hope to work with in the future. Aside from my presentation, my proudest moment from the trip was confronting the president of the ACLU, Susan Herman, who gave one of the keynote speeches. As freedom of speech was a major topic of study for me in college, I was right with her up until she started discussing the controversy over the scheduled appearance of Milo Yiannopoulos at UC Berkeley. Herman referred to “echo chambers” and students only wanting to hear from people who thought just like they did. As I’ve written previously, as a member of multiple marginalized groups, the phrase “echo chamber” causes me great irritation for a number of reasons. For the purpose of brevity in Herman’s Q/A session (which was already running overtime), I said that speaking as a black trans person, people like myself have felt targeted and threatened, particularly since the November 2016 presidential election. I argued that a university that championed gender and racial diversity and aimed to provide a place of relative safety for their students should not be obligated to welcome this speaker inside their halls (as opposed to allowing him to speak outside, in the true “public square”). You can watch my response (and her reply) starting at 1:16:43 in the video. It’s sadly ironic that the Charlottesville “Unite the Right” rally, during which a domestic terrorist (“allegedly”) killed activist Heather Heyer with his car, happened on the same day as this talk. The neo-Nazi apologism from Donald Trump in response to this rally has raised my stress level to the point of physical illness (compounded by the stress associated with the international trip, and the subsequent, unrelated terrorism in Barcelona). There is a difference between supporting free speech and supporting incitement to violence. The trip wasn’t all stressful, however. I enjoyed connecting with people from all over the world and learning useful information, such as how to nominate photos for quality status on Wikimedia Commons. 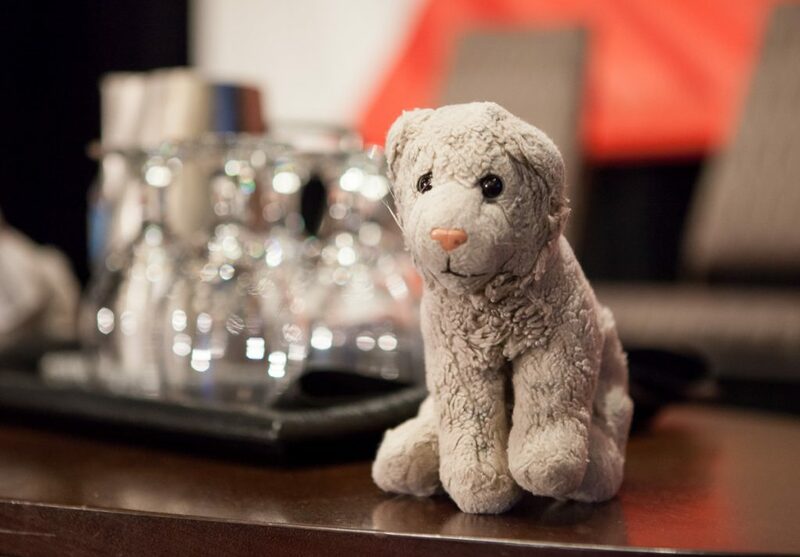 While I felt too worn-down and overwhelmed to explore Montreal beyond a four-block radius of the hotel, Ziggy spent plenty of time out and about in the city. Going through security and customs at both airports also went smoothly, which was a relief. I hope that I will eventually become more comfortable with traveling so that I can attend more conferences like this. 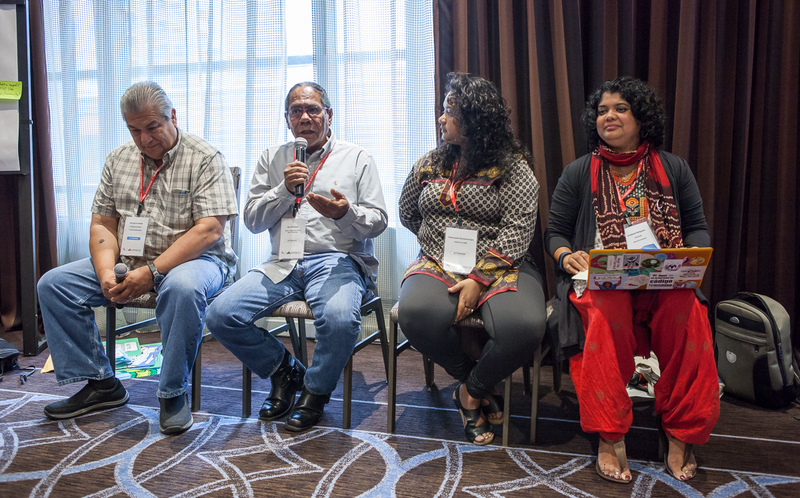 My photos from WikiConference North America and Wikimania are available on Flickr and Wikimedia Commons. Please credit me as Pax Ahimsa Gethen if you use any of them, thanks!